Struggling to succeed in the Nashville music scene, talented singer/songwriter Parker James finds the competition fierce - even deadly. A young woman's murder, industry corruption, and a menacing stalker draw Parker into danger and intrigue. The young girl with the Bohemian style was on the floor where she'd fallen, between Parker's computer case and her file cabinet. She wore a long, flowing skirt-lavender, the color of calm-and camel-colored Uggs. She lay on her back, her long, wavy blonde hair matted with blood. For struggling singer/songwriter Parker James, the music business has just turned deadly. Her desk in the reception area of a busy recording studio has become a crime scene, and Parker finds herself drawn into a mystery where nothing is as it seems. Unraveling the truth puts her own life at risk when she uncovers high-level industry corruption and is terrorized by a menacing stalker. As the danger escalates, Parker begins to question her dreams, her future, and even her faith. 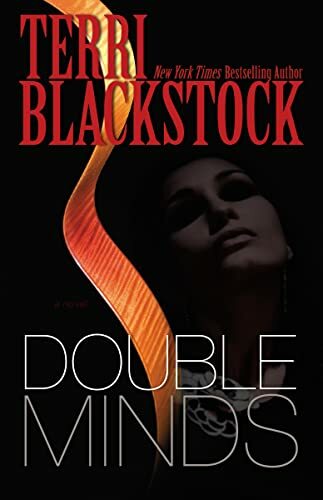 Double Minds is a double treat-combining a compelling suspense novel with an inside look at the world of the Christian music industry in Nashville. Terri Blackstock grabs readers at page one and keeps them riveted until the final plot twist is untangled.